Fits under the bath waste on to threaded section. Height is then only 100mm. 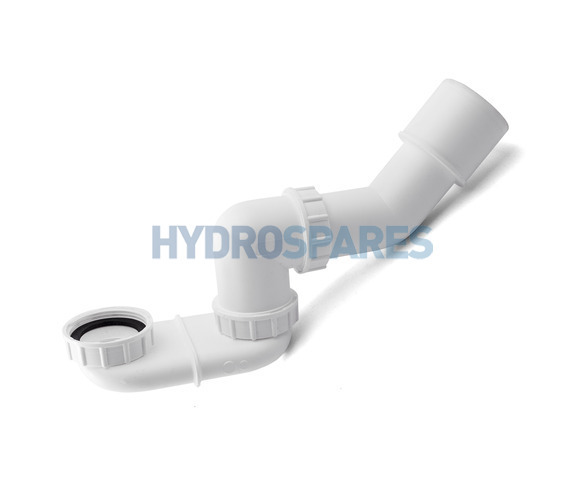 Connects to 50mm Fittings or Siphon flexible pipe. Fits both Koller and HydroAir pop up wastes.